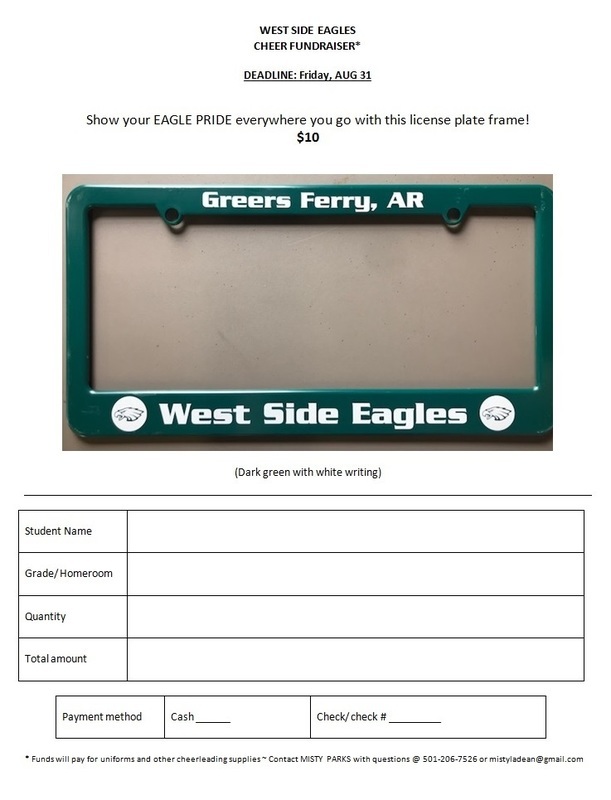 The High School cheerleading team is selling license plate holders as a fundraiser to pay for uniforms and other cheer supplies. To place an order, print and complete the form attached and return it to the High School office, or contact a member of the cheer squad or cheer coach Misty Parks, (501) 206-7526. For more information, contact the High School at (501) 825-7241.